15 Oct Warning: This isn’t the new level. It’s a dog of a year. There was some hope that September would bring some rain to at least keep the crop stable. Unfortunately, September has brought frost and continued dry weather. As a result, wheat pricing has stepped up a gear. In this article I look at the structure of the market and why it is important to remember that this price is not the ‘new, new’. At present, the local market is the most important driving factor for pricing, with basis levels trading at post-deregulation records. As an example, basis (Port Kembla) now comprises approximately 45% of the overall flat price, against an average of 13%. Nonetheless, the futures market and overseas pricing should not be ignored. The futures market has lost ground since its late July/Early August rally and is tracking the 2015 season reasonably closely (Figure 1). US futures have lost strength due to lower than expected exports with commitments at 38% of projections. This is a substantial drop from the typical 57% for this period of the year. 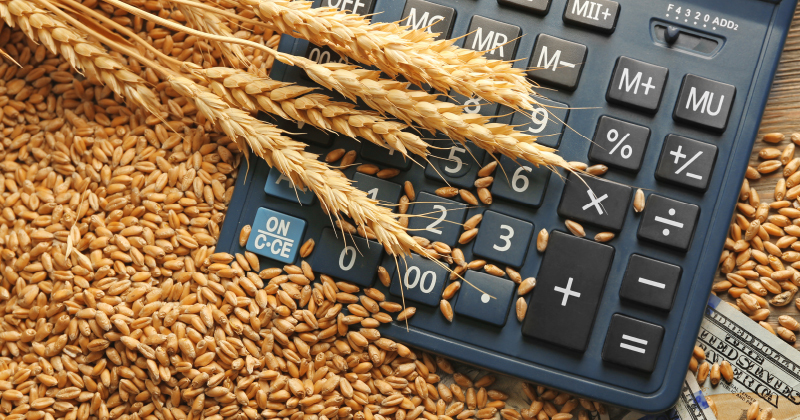 The futures pricing, however, does indicate that globally concerns for wheat availability is not yet critical. In this analysis we have chosen to analyse pricing in Geelong, however, a very similar picture is apparent in all port zones within Australia. In Figure 2, the seasonality of Geelong APW is shown. The stratospheric ascent. The market is currently pricing at $430-445, with limited grower selling. This is clearly an abnormal year for pricing and shows the impact of a drought. The basis level has clearly been the main driver (Figure 3), with the premium in Geelong over Chicago at +$160. This is a remarkably strong level and as we can see is well above what would be considered the normal range. At present pricing levels are unlikely to see a substantive fall this harvest and risk management for growers at this point is largely not required. However, it is important to remember that these prices are caused by a drought premium and as figure 2 & 3 display, this is an abnormal year. At present no-one knows how the weather will treat us in the next year. If anyone tells you that they do; they are guessing. It therefore makes sense to investigate the forward market either through physical or futures to commence a structured sales plan for the 2019/20. At present 2019/20 Australian markets have a drought premium already priced in. Chicago futures have fallen during August & September, whilst local prices have risen. This has led to very strong premiums. The pricing levels as present are due to local drought. It is important to understand that these prices will not be around for the 2019/20 harvest if we see an average or above average crop.